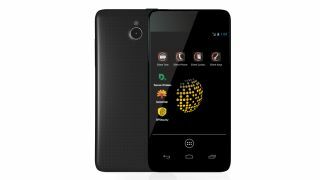 SGP Technologies, a Silent Circle and Geeksphone joint venture, has announced that the upcoming super-secure Blackphone will be powered by the Nvidia Tegra 4i mobile processor. Though some of the details of the Blackphone were released at World Mobile Congress 2014, there were some glaring omissions on key specs like the processor. That has been remedied today. The Nvidia Tegra 4i boasts 60 custom GPU cores, quad-core ARM Cortex A9 r4-based CPU, a fifth battery-saver core, and an integrated Nvidia i500 LTE modem. The CPU will clock in at 2.0 GHz. The choice gives the Blackphone plenty of performance, making it an attractive device beyond the privacy-conscious consumer or business user. Other specs for the Blackphone include a 4.7-inch IPS high-definition display with four point multi-touch, 1 GB of RAM, 16GB of onboard storage, an 8 megapixel rear-facing camera, a 5 megapixel front-facing camera, and Android 4.4, better known as KitKat. "With Blackphone we have engineered a high-end smartphone rivaling the top devices on the market in terms of performance and user experience – and with comprehensive embedded privacy features as a crucial differentiator," said Toby Weir-Jones, CEO of SGP Technologies. "Nvidia's industry leadership and the compelling advantages of their Tegra 4i mobile processor make them a key partner in creating a disruptive product backed by the best components available." Pre-orders for the Blackphone opened in February. The phone launches in the US and EU in June.